Greek life at MSU can finally do a happy dance – formal recruitment is over! But for anyone who hasn’t had recruitment yet, here’s five essentials to surviving recruitment whether you are a potential member or an active. Bobby Pins | Because you never know what could happen to your hair! Iced Coffee | For the mid-afternoon (or lunch time) slump because you got barely enough sleep the night before. Blister Block | You never know when a blister could strike and this stick is a lifesaver! Cough Drops | Recruitment means hours on end of talking. Have a cough drop in between houses to keep your voice! Mentos Mints | If you choose a chewy mint you never have to worry about crunching on one a minute before the next event starts. 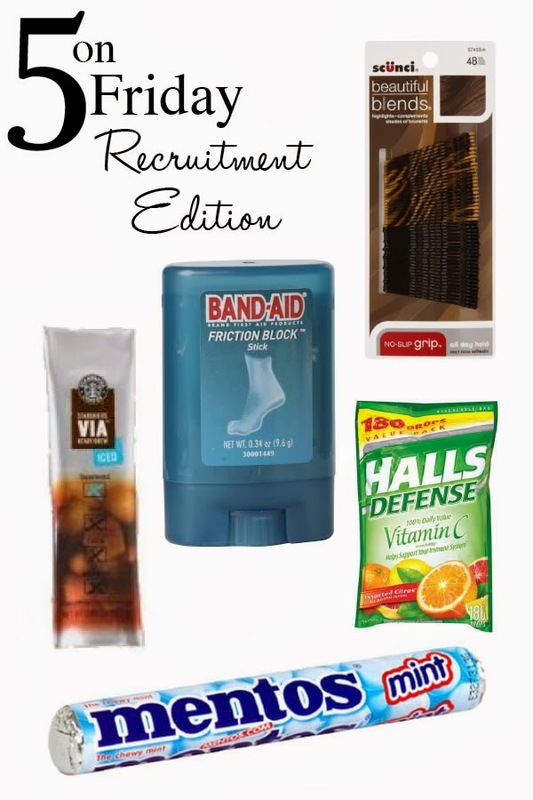 What’s in your essentials for sorority recruitment?